If you’re serious about your fishing, then you’ll want to stay on top of your game. If you’re a techy fishing enthusiast, then you’ll love what you’re smartphone can do for you these days to help out your fishing game. Need help learning how to tie those complicated fishing knots? Not sure when the fish will be biting? Uncertain of what species of fish you just reeled in? Maybe you just want to unwind with a classic and fun arcade style fishing game. Perhaps you’re just looking for a clean and simple way to log all of your catches in one easy to view place. There are even realistic fishing simulation games to help you feel like you’re out on the lake, even when you can’t really be there. From GPS tracking to help you find the best fishing spot, to an app that has all the fishing rules and regulations you need to safely fish. Whatever you’re fishing for, to maximize your casting potential we’ve got you covered with some of the best fishing apps available. We’ve reeled in a list of what we think are some of the most informative and fun fishing apps available. From sporty apps to help you perfect your cast, to fun and laid back gaming apps made to help you unwind on and off the boat. There are even plenty of educational apps out there to test and flex your fishy knowledge, so you’ll be sure to land you’re biggest catch yet. From Android to Apple, you’ll find an app that suits your interests and your needs. Here are our best fishing apps in no particular order to help you land that 10 pounder of so you can brag to all your friends about your next big catch. With these apps, the fish will be biting in no time! Don’t forget to check out our review on the best fishing rods for more information. Be sure that the fish are biting before you head to your usual fishing spot. This clean and simple iOS app is Apple Watch compatible. Perfect for those planning a finishing trip, this app allows you to see the fishing forecast up to 4 hours sooner in whichever location you choose. With its bright and fresh design, this app makes it easy and straightforward to use. Just put in your planned fishing location and the My Fishing Forecast app will chart the forecast in a graph over the next 5 days. You’ll get the best fishing times based on you’re your GPS location’s weather. And since the app is giving you up to date forecasts on the hour, you’ll be sure to know the ideal times of day to cast your reel. You can even save locations, allowing you to keep an eye on your favorite fishing spots so you can always be sure to get out while the fish are biting. It should be noted that the My Fishing Forecast app is on the pricey side of things. At $9.99, it’s a lot to ask for what seems like such a simple app. But the My Fishing Forecast app packs a punch that other apps of similar functionality do not. 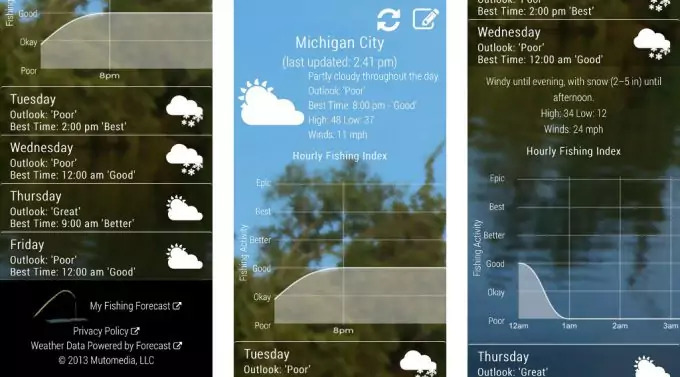 Not only does it use your GPS to a lock on your location, but also it’s the only “best fishing time” app to combine solunar, weather trends and astrological date into a single rating. With its planetary data coming from NASA and its weather data powered from forecast.io, the accuracy of this app can’t be beat. For Android users, the Trimble GPS Fish app is your perfect GPS Map fishing companion. Using your Android phone’s built in GPS, this app works in even the remotest of places and without the use of cellular data. That means you can map your fishing route anytime anywhere. Giving you access to view top, aerial, and street maps, you can mark waypoints along your route, like docks, fishing hotspots and underwater features, helping you to keep track of landmarks and the journey along the way. With a built in compass navigation for directions, you can track mileage, your boat drifts and routes from location to location, all while out on the water. Check out the sun and moon phases and basic weather reports to keep you prepared for the day ahead. This app is great for sharing your best photos and showing off your latest catch of the day with friends. The basic app comes free, but you won’t have access to your maps while off-line. You can upgrade to PRO so that you can view maps offline giving you the ability to check your location off the grid. You can subscribe yearly for $29.99 as ELITE to get the best full access to offline maps like Lake Maps, Weather Maps, Public Lands, and even a trip planner. It is a bit pricey, but app users swear by it. 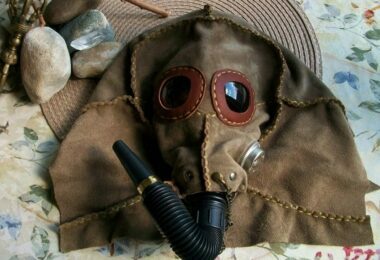 Users have commented that the vast functionality takes some getting used to. But once you get the hang of it it’s an excellent application that’s super useful to mark all your hot fishing spots. This is the perfect iOS app for fishing enthusiasts who like to take to the high seas. If you’ve ever asked yourself, ‘What species are prohibited?’ Or, ‘what is the bag limit for the fish I just caught?’ Fish Rules is the answer to all that and more. Remembering all of the rules and regulations of fishing in the sea can make you rethink before casting your line. That’s where Fish Rules comes in. This nifty app simplifies all of the recreational saltwater fishing rules and regulations for state and federal waters from North Carolina to Texas, in check. With this app, you’ll know exactly what’s in season, the amount regulated to keep, their regulated size, and so much more. You’ll never have to wonder what’s in season again. 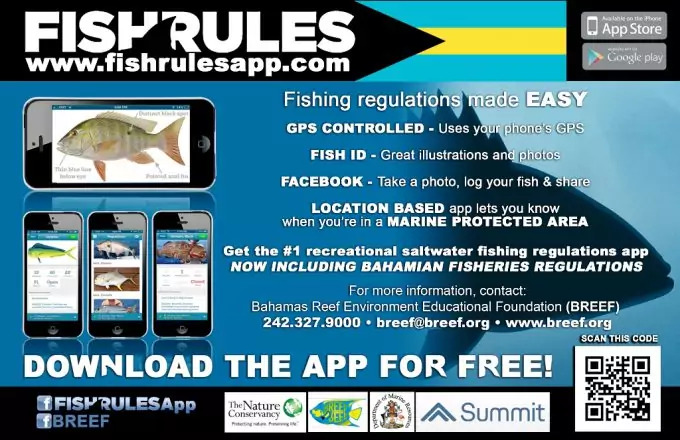 Fish Rules taps into your phones GPS or you can manually enter your location, so it always knows your precise location and exactly what regulations you need to adhere to. This app is also a great way to keep a fishing log of all of the fish you’ve caught over the years. You can even upload photos directly to Facebook for ultimate social media bragging. No more second-guessing about what species you just hooked. Fish Rules not only gives you precise regulation information, but it also helps you identify your catch using illustrations and photos with identification clues. Best of all, Fish Rules is free. Fishers who’ve used this app say that they wish the log feature was more precise, but when paired with another app, Fish Rules, rules! 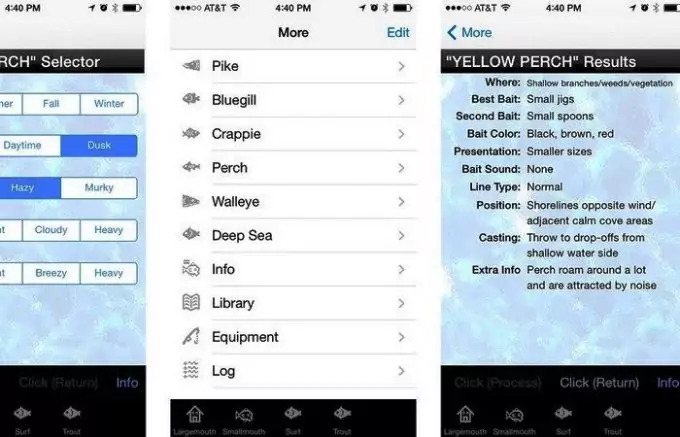 FishTales is an iOS app that will help you keep track of every single one of your catches. It’s a fishing journal and a logbook that does more than just basic records. The more you log your catches the bigger the database you create for yourself over time. That means you can look back on not only what species you caught, but with what lure, where, when, what the weather was like, and other important information. With this app you’re not only keeping a fishing diary, you’re giving yourself the tools to perfect your fishing techniques based on your previous performance. You can add photos of your catch and have the free will to log any other information you think is necessary. You can be as simple or as thorough as you like. There’s even a section to virtually keep stock of your tackle box lures that keep record of what fish was caught with what lure and what bait was used. Searching through your database is easy and you can even look up catches based on location or date. This app is $2.99 and is only available on iOS. While it might seem a little high for what you’re getting, the price is so worth it. Now you can spend less time logging your fish so you have more time to hook your next catch. Oh and this app comes ready with bragging rights. Whenever you log a photo in the app, you can automatically upload it to Facebook or email it, making sure that everyone can see that 10 footer you just reeled. So this app might not necessarily be exactly about actual fishing, but it’s a fun way to incorporate your favorite fishing sport into an action-packed-star-throwing ninja game. Ninja Fishing is the number one fishing game. It’s a super addicting game that is the perfect way to unwind after a long day with your hook in the water. Unwind by helping a fitness challenged ninja fish his way to victory. Cast your hook into the deepest parts of the water and reel in as many fish as you can! 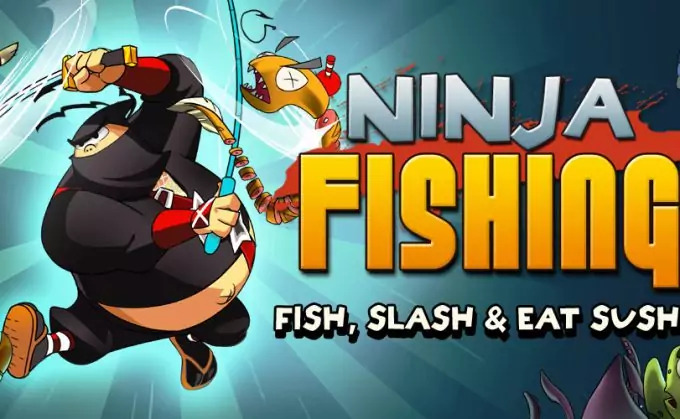 With fists of fury, help your ninja slice and dice the fish out of the sky. Collect fish species as you work your way through 6 islands of game play, building up your ninja village as you go. Watch out! This app is more addicting than Angry Birds. Collect coins to unlock new islands and build up your fish species catalog. It’s free to download and is available on both Android and IOS devices. 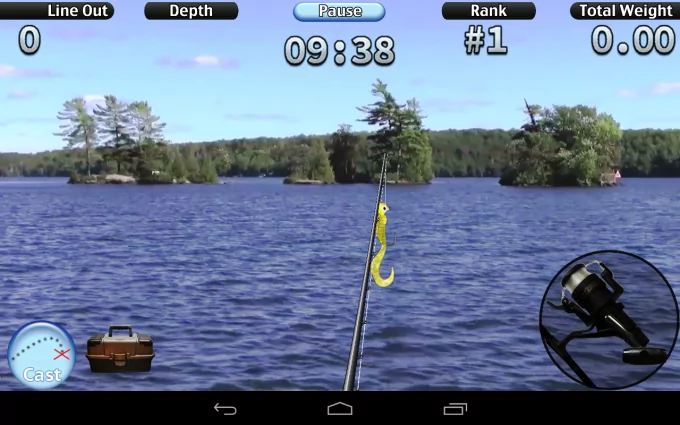 Unlike Ninja Fishing, iFishing is as close to real fishing as you can get on your iPhone. This fun and virtual game gets you right in on the action. This fishing simulator is not some silly arcade game. Designed by an avid fisherman, iFishing is a realistic and in-depth fishing game. There is so much depth to this game. With real life factors, like where you’re fishing, what lure and bait you are using, even down to your reel speed plays a part in what fish you catch. Drive a boat around a lake and cast your line where it looks nice. This game has 5 lakes to unlock, tournaments to enter, and 3 levels of difficulty, you can really test your fishing know how and skills. Available on both iOS and Android, you’ll stay entertained for hours, on and off the boat. Real fishing enthusiasts feel like you’re getting in some real fishing time with all that this app has to offer. The downside, this game will cost you $2.63. But tons of users have said with the amount of options and realistic settings, it’s well worth the price for the entertainment. Designed to help you determine the most precise feeding of all types of fish, Fishing & Hunting Solunar Time is your Android’s new best fishing friend. Using Solunar Tables theory, this app gives you a precise fishing forecast so you know the best times when the fish will be biting. Looking to the position of the moon, the moon’s phases and the position of the sun, and a 5-day weather forecast, you’ll be sure you’re getting the best times for fishing. Now you can plan your trips in advance, to ensure that you’re getting the best chances possible of bringing home the biggest catch of the day. The app can either use your smartphones internal GPS or you can manually enter locations. Once you’ve entered a location, you can save your favorite fishing holes so that you can check on the Solunar Forecasts anytime. You can download the basic version for free onto your Android phone or you can choose to upgrade to pro later with in-app purchases. Fishing enthusiasts who use this app say that it’s simple and easy to use. Many customers have said that this is the most accurate Solunar Hunting and fishing app they’ve come across, but it’s always good to remembered that nothing is 100% accurate. Built for anglers of all levels, the Ultimate Angler app gives you a full library of techniques to help you find fish. 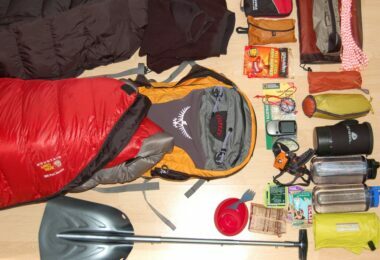 With a quick reference to aid in catching freshwater species as well as saltwater sport fish and even deep sea fishing. Just choose what fish you’re after, what the current conditions are, where you’re fishing, time of year, time of day, wind conditions, water clarity, and the Ultimate Angler app will give you the most likely results based on your information provided. The results will tell you where and how to cast your line, recommend best bait to use, and so much more to help you have the best chance possible of catching the fish of your dreams. You can grab the Ultimate Angler for iOS for $2.99 and have access to a large library of over 50 common sport fish species, as well as fishing techniques to help you get out and angling right. With a section to log your latest catch, you’ll be able to see not only when, where, but its weight, length, what bait you used and so much more. While app users were impressed with the type of information, many users have said that the species list could be more specific, so keep that in mind if you’re the type of fisher who is on the hunt for a particular type of fish. 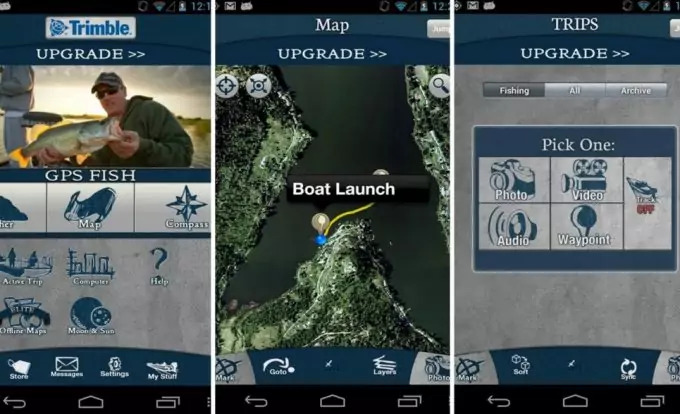 Here’s another app to get you out and into the boat at the right time to ensure you the best opportunities to nab the catch of the day. 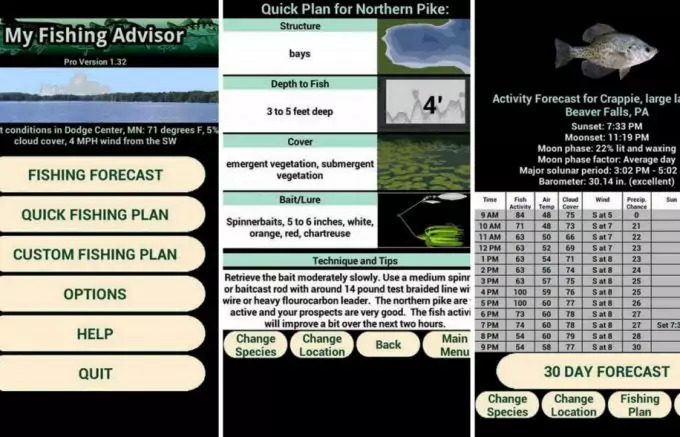 My Fishing Advisor Pro shows you optimal fishing times based on the time of year, weather and water conditions and then helps you pick out the right lure or bait and technique to best match what’s going on that day. This app does all the guessing work for you. Now you can know when the fish will be most active and feeding, giving you the best possible chance for hooking. Like most apps of this kind, you can save locations and your favorite fishing spots to monitor over time. With every location that you add, My Fishing Advisor will pick out the best from the bunch, giving you the most promising fishing experience on hand. The app will even recommend which lure to choose, the right rod, line, hooks, and so much more. Available in a free version with most functions available to you, there is the ability to go Pro to unlock all of the features. Beginners and casual fishers will feel confident in their abilities with how user friendly this app is. It’ll will make newbies more successful and avoid the frustrating woes of learning to fish for the first time. Most users have found the option to save their fishing spots to be very handy, while others wish that they could save their custom fishing plans to come back to later. Knowing how to tie the right knots in your fishing line is paramount for fishers. But learning how to tie all of those pesky knots and knowing which nodes are best for which application can be difficult to remember and execute properly. Fishing Knots Lite is the solution to your problem. This app takes all of the guesswork and fumbling with your line out of the equation. By putting detailed step-by-step instructions with bright and clean illustrations accompanied for step along the way, you’ll be tying nodes in no time. The best part is you don’t even need an Internet connection to access the extensive database of knots available. And that means that you can be anywhere, even out in the middle of an expansive lake with no service and still access Fishing Knots Lite knot tying library. 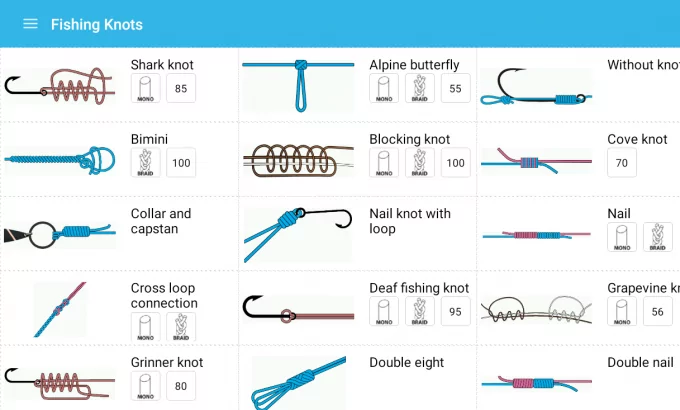 The basic app is free and offers an extensive knot library to browse through. But you can purchase the Pro version for $2.00 on your Android phone. Fishing Knots Lite is so easy to use and there’s almost a knot for every application in their extensive library. Users love the clean and simple display of Fishing Knots Lite so much that almost 5,000 users have given it 5 star ratings. You’ll never get caught wondering which node to tie on your fishing line when you have Fishing Knots Lite by your side. You’ll be so confident in your knot tying abilities the fish will practically be jumping into your boat all by themselves. This fun and hilarious arcade game is a great way to get in a few laughs after a tiring and perhaps unrewarding day of fishing. Play as Billy as he embarks on a seafaring quest “for glory and gills.” Travel across the world to different continents and fish in silly and outlandish ways. Trade in your fishing pole for unconventional fishing methods, like guns, chainsaws, bowling balls, and yes, even toasters. This game will draw you in and keep you playing as you try and collect as many fish to wear as hats as possible. 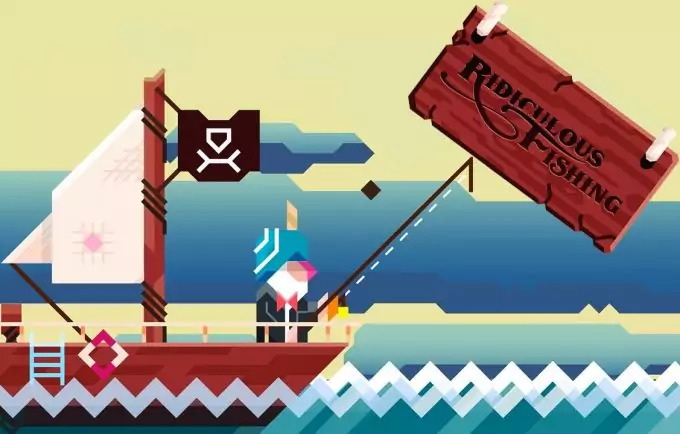 Ridiculous Fishing- A Tale of Redemption is available on both Android and iOS devices and you can purchase it for $2.99 in your app store. This game has been described as a unique fishing game and has received an average 4.5 star rating by users. It’s humorous style and ways will keep you in stiches the whole way through. You might even be tempted to try and fish for yourself in the zany ways that Billy does. 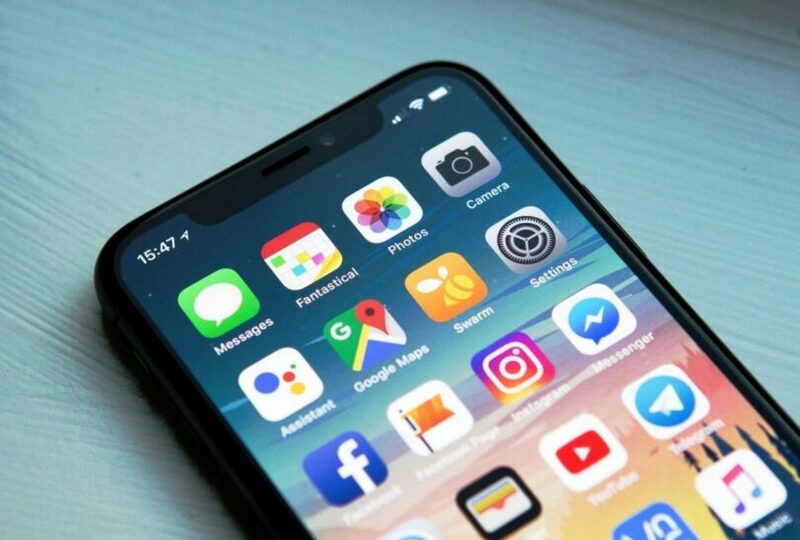 While these are just a few of the hundred of fishing apps that are available within the app world, we think you’ll at least find one to suit your needs. Whether you’re just looking for a simple and straightforward way to document all of your fishing conquests and catches like in FishTales, or ways in which to improve your casting technique like in Ultimate Angler, we’ve got you covered. 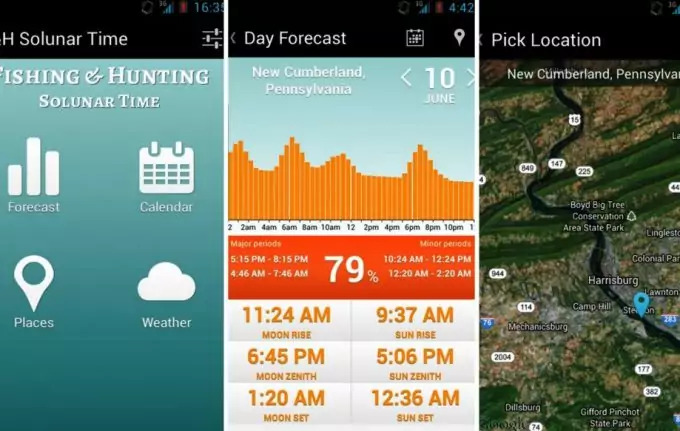 Now you’ll never be left wondering when the best time to cast your line is when you have apps like Fishing & Hunting Solunar Time or My Fishing Forecast by your side. If saltwater fishing is your kind of fishing, be sure to invest in the Fish Rules so you know which recreational saltwater fishing rules and regulations to be using. For more of the modern way to fish, see our article reviews of the best handheld GPS for fishing to learn more.